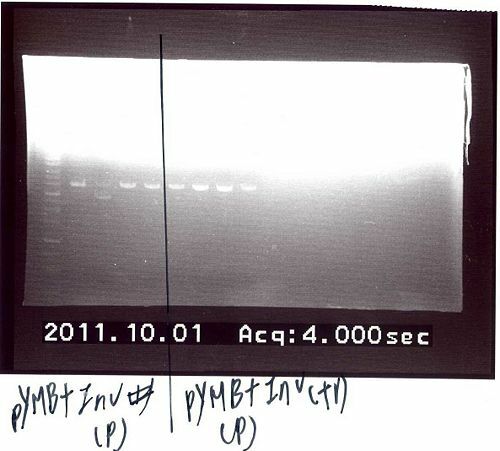 pYMB(BBa_K624004) is described to contain the ori (origin of replication), rep gene (required for replication) of pMGT. Once the synthetic work had been done, pYMB is constructed by equipping the ori, the appropriate promoter for AMB-1 (Pmms16 and Pmsp3 as our candidate) and rep gene on the commercial plasmid pUG19 which was revised as the expression of Biobrick backbone pSB1A1 with promoter Pmsp1. The constructed vector is capable of replicating within both E. coli and AMB-1, fully sufficing a competent shuttle vector for genetic engineering the magnetotactic bateria. The ribosome binding site is from Pmsp3 with 6 bps truncated. (BBa_K624013).